See all of our vacation rental homes and rental cabins. 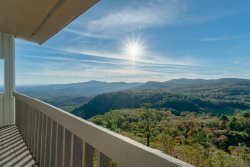 We have a premium selection of Vacation Rental Homes and Rental Cabins in Highlands NC. Most vacation rental homes are located very close to Main Street Highlands NC. See the area mapping located under the local area guide toolbar. Completely renovated with a large covered porch with wood burning fireplace. Bring your canoe for a relaxing paddle on Apple Lake or soak up the sounds of nature on the spacious back deck.